Finally, the proposal. :) A few people have been asking me how Gersh proposed to me. First off, we didn't catch it on video nor was it done at a restaurant. Gersh and I always have midnight snacks, so this was unexpected. I cooked for our snack like most of the time last July 14 and halfway through it (in our pajamas, mind you! ), he told me to close my eyes and he asked me if I would be his wife. I won't go into further details how or what else he said( i'd like to keep it to myself haha! 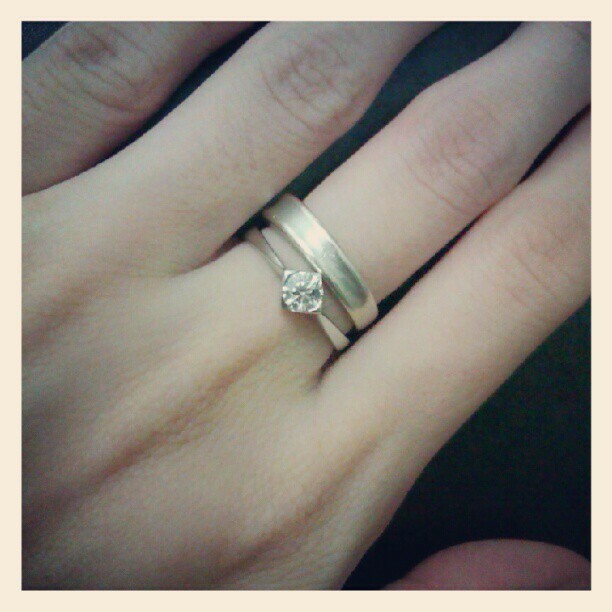 ), but one thing's for sure, I didn't expect a ring nor did I expect to cry. I guess if you really love someone it doesn't matter when, where or how they do it. It doesn't always have to be done it a grand way. I've been waiting for this moment ever since I was a little girl and Gersh has been carrying the ring with him for over 2 years. Now, we're officially engaged and I am such a happy girl. Up to now it feels surreal. Every morning when I wake up, I still gaze at my ring and the feeling that it has on my finger. Very happy for you, not sure it's for me though. Congratulations Ava!!! :) So, so happy for youuuuuu! :D That proposal sounded perfect. :"> All the best for you both! Congrats Ava :> Happy for you! Awww! Yaya beb Ava so happy for you and Gersh and to your happy family :) and to your surprise! :) ;) Congratulations to Gersh and Best Wishes for you! Yau! Dreams come true! :) I love it! SOBRA SOBRA SOBRANG KILIG FOR YOU, AVA!! :) Congratulations to you and Gersh, you deserve each other. ♥ God bless your relationship, I love every bit of this blog post! Congrats to the both of you, Ava! :) As early as now I'm giving you my best wishes na :) Hihihi!